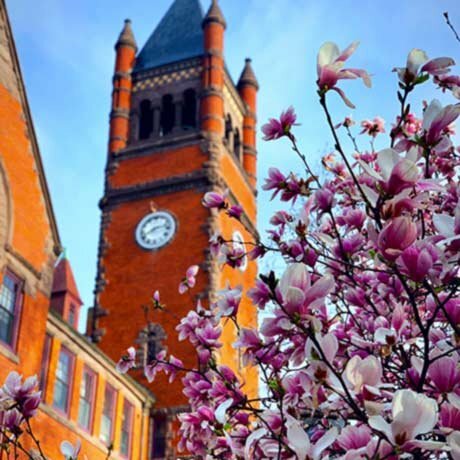 The Gettysburg College Leadership Certificate is a one-year program that pairs leadership coaches with students interested in exploring and connecting campus involvement to meaningful career skills. The Garthwait Leadership Center serves as the hub for this unparalleled leadership development opportunity. Why earn a Leadership Certificate? We live in a world of change and trial—a world that has become tightly interconnected and turbo-charged by technology. So how will we tackle the challenges of our time? The answers do not lie in divisiveness or long-winded rhetoric. Instead, we need truly great leaders. At Gettysburg College, we believe leaders are not born but made. Our Leadership Certificate will help you transform into a leader of action and integrity—qualities that will position you for success both as a student and throughout your personal and professional life.